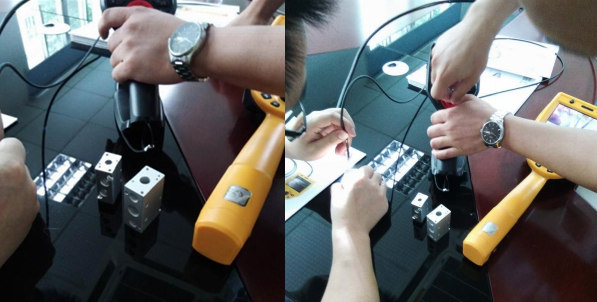 The tested object and working condition:the production of pneumatic products by the company is very high in the process of production, so it is necessary to use Inspection Borescope Camera to detect the defects in the inner wall of the cylinder,such as oxidation, drawing and other defects, and scratches on the inner wall of the cylinder barrel.At the same time, after the whole assembly, we need to check the overall assembly to check that if there is gap.Before this,we need to the open the cylinder to observe the internal situation,which waste material every much. Demonstration results: The customer is satisfied with the manipulation and pixel of E5 series. Their demand is side view lens,which can detect the cylinder body vertically, and distinguish the defect state in the cylinder body. Coantec endoscope is small and flexible, can be inserted into the tube and reach the narrow space to check any hidden parts. For examining the components of small aperture, Coantec endoscope is more easy to insert and check.And the pixel is more clear for cylinder cavity, inner wall of the barrel casting.Coantec endoscope is not only widely used in auto parts manufacturing, but also can be applied to the detection of hydraulic components, fuel pipe, muffler, engine, transmission and differential, air conditioning system, water tank, oil tank, gear box, coke, wear blockage situation, improving work efficiency and reducing the cost of repairs. At the same time to avoid the damage caused by repeated disassembly parts.